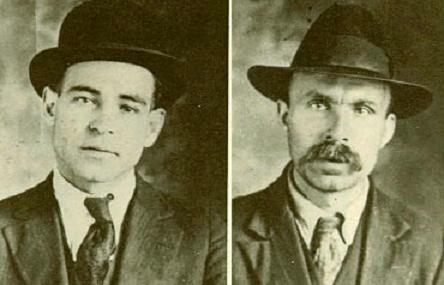 Sacco and Vanzetti | Nobody Move! 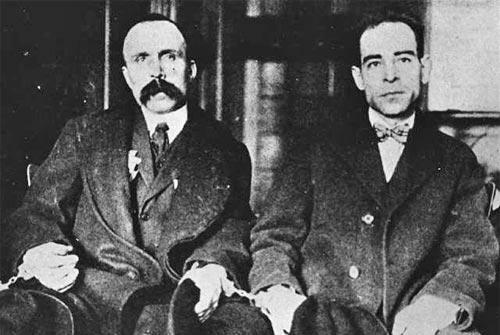 On this date in 1927, Ferdinando Nicola Sacco (above right) and Bartolomeo Vanzetti (above left) were executed in the Massachusetts electric chair for an armed robbery that resulted in the deaths of a paymaster and a security guard. Controversy still rages to this day as to the guilt of the men, but their convictions have yet to be overturned.